Nintendo has revealed that its first mobile game will be called Miitomo, and that it will be a “freemium” title using in-app purchases. However, its launch has been delayed until March 2016. Miitomo is the first game from Nintendo’s deal with mobile firm DeNA, which was announced in March 2015. The first fruits of the partnership had been expected to debut before the end of the year. Gabriele is sceptical about Windows 10 and still misses XP. With a new version due in a few days, is it worth taking the free upgrade, and when? I know you can’t answer, but what do you really think about Windows 10? I was sceptical from the start. When I started reading about how a lot of people in business are going to stick with Windows 7 until it’s ended, I thought: Get another machine now while they’re still affordable, and did so. Sorry! I am too busy pretending to be a radio presenter! Smartphone startup OnePlus has announced not one, but two OnePlus X phones. While each version shares the same tech, they’re made with different materials for a classy look, that sill comes at a competitive price. 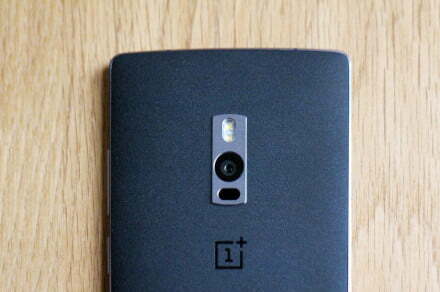 The post The new OnePlus X is the OnePlus 2’s gorgeous sibling appeared first on Digital Trends. British Gas has emailed more than 2,000 of its customers to warn them that their email addresses and passwords to their British Gas accounts were posted online. In the email, the company told customers that its systems were secure, and that the data had not come from British Gas. It did not explain where the information did come from. GameCity 2015: wake up with the Guardian, day six – live! Once again, we’re broadcasting our live audio chat show from the GameCity festival in Nottingham. At 9am, you’ll be able to hear Keith Stuart and Jordan Erica Webber talk to offbeat game designers Ed Key (Proteus), George Buckenham (Punch the Custard, Panoramical, Fabulous Beasts) and Laura Dreamfeeel (Curtain). If you don’t catch it live, you’ll be able to listen to the recording later on.